Do I really need Paint Protection Film (PPF) aka Clear Bra? I would say at least one third of my clients have asked me this, regardless of whether or not they’re bringing an old car to me for a correction detail or a brand new one for a lighter detail job. Here are a few things to consider when deciding whether or not to have paint protection film applied to your vehicle and what areas to protect should you decide to have it installed. Protection is the key reason behind installing PPF. Actually, it’s the only reason. Whether you’re looking to protect the front bumper from some paint chips and bug splatter, the entire front end from road debris or preserve the entire paint job by wrapping the whole vehicle, protection is the goal. Nothing comes close to providing the protection of PPF. No wax, sealant or paint protection coating will ever prevent rock chips in the paint and etching from bird dropping or bug splatter. A good wax/sealant/coating may help minimize etching in the paint, but they cannot prevent rocks and debris from chipping away the paint finish. The 3M Paint Defender is a cost effective solution to PPF and it provides a good barrier of thin film, but it is still very thin and can only do so much. In short, there’s nothing out there that will provide the protection of a good paint protection film, so it’s a must if you have suffered from paint chips in the past on a regular basis. More people than you would imagine are concerned about looks after PPF installation. Most are worried in general about how the gloss or color of the paint will be altered, whereas others don’t want to see “the line” that’s associated with partial film applications (only 1/4, 1/3 or 1/2 of hood and fenders are covered, thus revealing an edge/line of the film). I too hate the look of the edge of a film running across the middle of the hood, which is why I always recommend full front end coverage. This ensures the entire front end of the vehicle, hood, bumper and fenders, will be covered with the film and have an even look to it. Also, with the entire front end covered, the only panels to compare to will be the doors. Since the doors are vertical and not easily visible in terms of gloss and color, the covered areas blend in much better with the rest of the vehicle. In other words, it’s a lot harder to compare gloss/look of the hood vs the door than hood vs fender that’s right next to it, or obviously hood to hood when only half it has the film applied. From experience, there is always a slight difference in gloss between panels that have the film applied compared to those that don’t. However, this is usually only noticeable from 5-10 feet away or less. Some colors, such as grey and most whites, are very hard to tell even from 5-10 feet away. One way to greatly improve the look and close the gap between the gloss of uncovered and covered panels is by applying a good paint protection coating, such as 22PLE, to the film. This increases the gloss of the film and matches more the gloss of the actual paint that’s not covered by film. All in all, I have never seen a quality film install that looks “bad”. Yes you will be able to tell it’s on the paint (sometimes from 15 feet away and sometimes from only 3-5 feet away) but it’s not a bad look per say. So unless it’s an old PPF install and the film is starting to fade due to time and use/abuse, I wouldn’t worry much about the looks of it. Last, but certainly not least, durability plays a big factor with a PPF install. The main way to ensure durability is to select a competent installer and a higher quality film. 3M and Xpel are two of the leading manufacturers of PPF, but there are a few others out there that look and work great as well. What you want to stay away from is cheap film that may work fine in protecting paint and be a bit cheaper to apply initially, but it will get discolored, scratched and faded fairly quickly. The initial savings are normally not worth the replacement cost of the film. Normally the quality films will last at least 3-5 years without fading or discoloration, but as you can imagine they do need to be kept clean and maintained properly in order to last as long as they should. In addition to providing a better overall look as mentioned above, paint protection coatings are a great way to preserve PPF and make it last much longer than it normally would. A coating will protect the film itself from swirl marks, fading and staining, as well as make it much easier to clean and maintain. Well that’s about all I have for now. I am hoping to do a follow-up article soon to explain some of the things to look out for when selecting a good film and more importantly a good installer. Stuff like custom cut or pre-cut kits, folded edges and application methods. For now, hope this helps some of you in making a decision about PPF and as always thanks for reading! Which Paint Protection Film (PPF) is Right For Me? 64 comments on Do I really need Paint Protection Film (PPF) aka Clear Bra? People should also take the time to learn about the pros/cons of each film. Xpel offers a 10-year warranty and looks great and Nano-Fusion offers a lifetime warranty, but they cost the most. 3m has the biggest company backing it and cost the least in most cases, but the adhesive is super aggressive and it can have more issues with silvering and working marks. Suntek offers a self-healing film that looks as good as Xpel and costs less, but has a 5-year warranty. What does this mean? The “best” is relative to an owner’s situation. While I will never personally suggest someone install 3m film(due to quality control -as it stands), if someone only cares about price they might find it is the best solution to install ppf. If someone wants an amazing looking film but only keeps a car 2-5 years, why spend the extra money on Xpel Ultimate? Garage queen that rarely sees the road and you’re keeping it a long time? Xpel may be the best fit. Want an OEM certified film with a long warranty? Nano-Fusion may be the best fit. Our clients have enjoyed the protection and looks of our PPF. Good job cracking the surface of the subject and I look forward to your take on PPF moving forward. Good article, and I definitely agree with your perspective of covering the entire hood to avoid the dreaded line. Is it true that the films should be removed and replaced every 4-5 years to keep it from hardening and being outrageously difficult to remove? As a whole, James, yes. I know one of the biggest installers for Xpel in the states. He tells his customers to plan to replace it in 5 years regardless of what the warranty card says. I won’t say it won’t last 10 years, but for how most people care for them, plan on 5 years. Apart from normal washing and waxing, what other special care needs do you need to consider for paint protective films? Protective tapes generally has durability of 5 years, they can help protecting automobiles glass windows etc from ageing, scratch and damage. well its really great to gain some knowledge after reading this great article. thanks a lot for sharing with us. Very educative, thank you. I am interested in becoming an installer full time and starting a business in the same. How and where from should I start? What is the cost for each of those products for possibly a full car wrap? I am a Ugandan by the way. Will adding a film help cover up swirl marks from frequent washing? Vincent, in short, yes. Even if the paint looks pretty bad, adding film will make it look good as new because the film hides pretty much everything. Also, if you get the self healing film like Xpel or Suntek (many reputable manufacturers have a self healing film now), the swirl marks from washing you get on top of the film will simply go away with some heat (quickly) or just with some time if it’s cool out. This characteristic of the film lasts quite a long time from what I’ve seen. Any one experimented with applying PPF on a vehicle where the clear coat has completely come off? I have a black ’98 Honda Accord coupe where the roof and trunk have zero clear coat. I used polishing compound on it with a buffer wheel and it shined up very nicely. Obviously not as good as the clear coated areas, but good enough to save the client from needing a repaint. Could I apply a PPF to this? I didn’t have any long term experience with this, but I had film on my old car with no clearcoat. It made it look really good and had no issues for over a year. My current car also has it on the the hood, which has damaged clearcoat, and it made it look a lot better than without PPF. I’m repainting spring or summer, but for now it looks 10x better than it did when I first got the car. Actually a film has been made for using on clear coated vehicles. Opti-coat has a film to work with coatings. Questions. If new bigger starting to installing paint protection film business what film will be best for customers cars? We use Suntek and Xpel and our clients like both. I kind of find that funny for some odd reason. Super helpful insights particularly the last part. Your website has a certain aura about it. I would bet you probably make puppies laugh. This could be a lot more important than people might think. Data is just about everything. Would you recommend putting a Xpel clear bra down and then doing ceramic pro on top of that? Is having both really needed? If the PPF needed to be replaced after 5-10 years having ceramic pro on top would be impossible to remove just the one? We do recommend coating on top of PPF because it will extend the life of the film and make it a lot easier to clean. Plus it should add a bit more gloss to the areas with film. Ceramic pro, like any other coating out there, is just a thin layer that goes on top, so you can theoretically polish off a coating on top off PPF (would have to be done fairly carefully) to reapply or apply something else. How is a PPF removed after 5-10 years? With a lot of sweat, tears, patience, swearing and most of all adhesive remover! If the film gets too old it can be a huge pain to remove. I plan on doing an article on PPF removal, but haven’t had a good car come through the shop yet to document. Hopefully within the next month or so. I had never heard of PPF before. I don’t know much car stuff though. I thought it was interesting that it’s mostly for protection than anything else. I’ve always wondered why car paint lasts so long, I guess I know now. Thanks! I have a new F250 and will be having Suntek installed to protect the mirrors, grill, headlamp glass and edges of the hood and fenders. I have researched many, many brands and detailers and have come to the conclusion…Suntek is for me. By the way…after talking to a few installers….the one I choose was one that has been in business for years and was the only guy that said he wants me to arrange to leave the vehicle overnight. Overnight !!?? after discussing all the reasons, I agreed and am thinking I will be getting this guy’s best. Will these ppf’s protect against stone chips, or mainly daily wear like bird droppings, people leaning on the fender, automatic full contact carwashes etc? Joel, they will help protect against all of that, to an extent of course. I wanted to know more about vehicle paint protection. It is good to know that there are several options for this protection including bug control on the front bumper. It would be best to get this done by a professional who is experienced and licensed. It was so helpful to read that normally the quality films will last at least 3-5 years without fading or discoloration. My husband wants his 2015 Lexus coated with protective a coat because he noticed chips in his paint yesterday. I have no idea which protection to use so I’ll get in touch with an expert to see if I can get it coated before his birthday! Opti-Coat has paint protection film that is very durable to chips and etchings. It will stop the chips happening any further on his vehicle. You can also have Opti-Coat coating applied to the rest of the vehicle to keep the rest of the paint protected form hard water, acid rain, bird droppings. 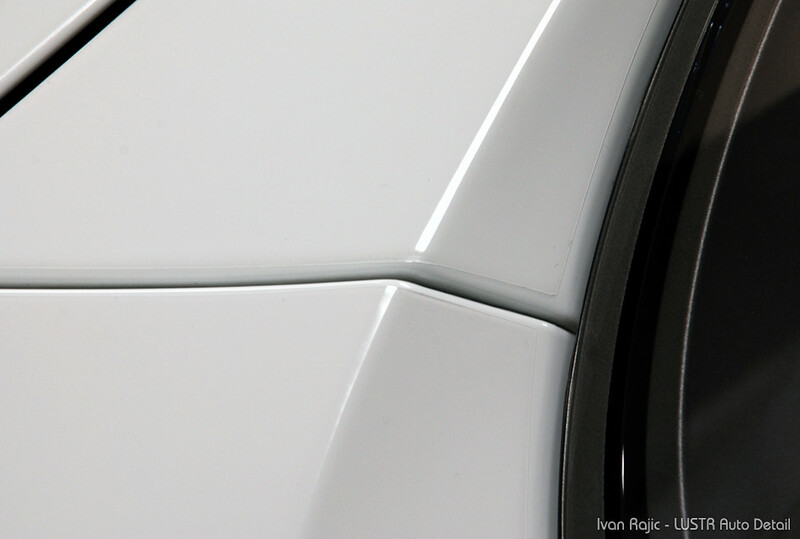 The coating works in synergy with the paint protection film as well; can be installed on the film for further protection. I have a new 2017 Tacoma, Black I had a Ming coat applied can I still put the Xpel or Nano- Fusion on it, the top of the front grill to the hood about a 4″ painted area ? A friend of mine just purchased a pretty nice car, and he was telling me that he might want to have a clear bra put on it. It’s interesting that it can actually protect from paint chips and bug splatters! Since he is planning on driving pretty fast in there, it would be nice to know that it will be easy to clean. If you have a coating over the ppf like modesta or quartz finest will it block the self healing properties ? Also if the ppf gets damaged then you have to reapply the coating and that could be very costly. Does putting it under the film void the warranty as well, from Xpel, possibly not adhering properly because of the coating underneath. Just some concerns . Id figure it would make more sense to put it under, but mostly I here is putting it over. From my experience with a few films and many coatings, the self healing properties are never disturbed at all. If PPF gets damaged yes you would have to reapply the film and, if you want, the coating as well. This is one of the only downsides if you want to call it that… if the film gets damaged badly enough, it may need replacing. That said, the alternative is repainting the panel so in my opinion film is always a great idea. I’m not sure about voiding the warranty, but there’s no reason coatings should be applied under film. I don’t think there have been any/many issues with that, but I would recommend applying film to a clean paint surface, then coating on top of the film. down the hood and front bumper. Can PPF be applied over the decals? Will it be a tight (no gaps) fit? If I choose to remove it every 5 years will it harm the decals removing it? Thank you! Roger I don’t think it’s a good idea to put the film over the decals, unless they’re very thin. We work with some race cars that have vinyl all over and in that case we do it because protection is more important vs aesthetics. That said, there’s definitely a gap where water settles along the edges of the vinyl and unless the decal is very thin, it will always give it an embossed look. This looks great on the race cars with a ton of vinyl all over (it makes everything gloss and stand out more), but if it’s just a couple decals it may look out of place. It may also result in bubbles forming due to water leaving the edge and moving further into the panel. Removing PPF after that long may pull up the decals along with it, but it’s really one of those 50/50 cases from my experience. My suggestion is applying PPF on only the paint or applying a separate piece on vinyl and paint. A San Diego based 2017 black Mustang GT that gets driven infrequently so garaged a lot. Professionally detailed, looks great. Either Suntek Ultra or Xpel Ultimate for front clip and mirrors $1600. Sounds extremely expensive. Plan to keep the car 5+ years. May have to pass on protection. Thoughts? That sounds like a very reasonable price (assuming it’s a good installer) and I would recommend Suntek as it looks a lot better than Xpel in terms of grain/orange peel. As for passing on it… I always tell my clients while there’s an alternative to coatings (waxes and sealants) that will do a pretty good job, there’s no alternative for PPF. Nothing else you can do to your paint to help prevent road rash and paint chips, which is why I always recommend it on any new car. For you it will be an investment of $320/year or less to keep the front end looking perfect. I’m a fan of PPF and all that it does, so I always recommend it. Could you put ceramic coatings over Clearguard Nano SR ? Its a PPF. I have no experience with the Clearguard film Mike so I really can’t say. I live in Phoenix, AZ and yes, it can be one of the hottest places to live in the U.S. 105-110 plus most days in the Summer. What PPF manufacturer would you recommend that would have the most protection against the blazing sun, which seems to ruin everything out here? Kip all quality manufacturers should perform well, but having lived my life in Chicago, which is the complete opposite, I really can’t say I’ve experienced any brand film in a similar climate to yours in Phoenix. More questions Ivan. I’m getting ready to have the PPF done and am doing some research. I found this video link comparing 3M Scotchgard Pro Series, Suntek and Expel Ultimate against each other. https://www.youtube.com/watch?v=kUPC1YVa5uk Seems Scotchgard has the best protection. However, based on Jean-Claude Corcoran above comment and I quote, “The “best” is relative to an owner’s situation. While I will never personally suggest someone install 3m film(due to quality control -as it stands), if someone only cares about price they might find it is the best solution to install ppf”, it seems he does not approve of Scotchgard. However, they make 3 different kinds, with Pro Series being the best. Would you go with Scotchgard Pro Series or some other brand? Does Scotchgard really have quality control issues and if so, how does that affect the PPF itself? Looks like either Scotchgard or Xpel might be the two best options. Unfortunately I don’t have much experience with anything but Xpel and Suntek, so it’s very hard to compare. We really like Suntek for both looks as well as protection based on clients’ vehicles after months and years of driving. I am debating XPEL Clear bra vs Stealth for new Tesla – like the look of the stealth, but will probably go with clearbra to preserve gloss of original paint. In your experience – what is overall average cost of full wrap and would you recommend that. I plan on keeping the car at least 10 years – have maintained 2 cars in my life very well, this will probably be the last big purchase and I want to preserve the look and protect it for as long as possible. Depending on your area cost could vary from $3.5-4 upwards of $7.5-8 thousand. Stealth is usually 10-20% more expensive due to the higher film expense. As for clear vs stealth, just make sure you can live with some exposed edges if going the matte route as it’s pretty impossible to wrap everything. It’s not too noticeable if done well (as Mike said installer is the most important decision here) but some edges will still be exposed as it’s not like a vinyl wrap. Would you recommend ceramic coat on top of PPF or is that typically unnecessary? Yes it definitely helps with maintenance, etc. Ivan, if it is applied to only some parts of the vehicle, after removing the film can there be a difference in the color tone between the parts that received the film and those that did not receive the film? John, this greatly depends on the length of time and color. Lighter colors are more prone to this and obviously the longer it’s on there the greater the chance of slight color difference. Maintenance also plays a big role because if the non-covered paint isn’t properly and regularly washed/waxed/etc it can slightly differ from the protected paint under the PPF. Ivan, I just picked up an older vehicle (12 yrs old) but paint in excellent condition as it was garaged. There are a couple of blemishes that need painting but after having that done I want to apply a PPF and ceramic coating. I see that Xpel offers pre cut pieces but cannot find any for Suntek. Do you know if they offer any? I would prefer to get the kit and take it to an installer to have it installed. At this point it comes down to which of the two can offer pre cut pieces and I would more than likely go with that brand. Also after getting the car prepped with clay bar, wax, buff, paint correction and applying PPF would a ceramic coating and regular paint maintenance preserve this PPF? I want to keep this car for at least 5-7 years. Rod, first of all, I wouldn’t recommend taking any film to an installer as they may not want to 1 warranty it and 2 install it. Your goal should be to find a good installer and then hopefully you like the film they install. If not, find a good installer that installs the film you do like. My recommendation is always suntek as it looks better than all others I’ve seen and performs very well. To answer your questions… Suntek has pre-cut pieces but they’re not as good as Xpel in some cases and also I’m not sure if they sell directly to consumers. As for ceramic coatings, yes a coating would definitely make it easier to maintain the car and keep the PPF cleaner/in better shape. You may need to apply the coating every 1-2 years depending on how much you drive, but it’s a much better alternative to applying wax/sealant every few months (again, depending on how much you drive). Yes, Ivan that does help. I have been doing some research on Xpel and Suntek and I do like the self healing of the Xpel. Reason why I would want to get my own film and take it to an installer is because they mark up the cost of the product so much at times, after getting it at their cost. And if I can get the same product for what the company cheaper I would prefer to go that route. I would have to have them install the hood film as I want the entire hood done and not just the first few inches. I will research more to see how Suntek compares to Xpel. Thanks for your response. Rod, I’m not sure about installers in your area but for most installers I’ve met as well as us and the guys we use locally, film cost is a minor “upcharge” within the overall cost to install. What I mean by that is the installer (usually) won’t sell you the film at his cost, but they also won’t sell it as high as the manufacturer. For example, a lot of the kits Xpel sells from their website are just slightly less in price than what we charge for both the film and installation of that same kit. I am of course not telling you that you shouldn’t seek the best option for you financially, just giving you another point of view on the costs associated with PPF installations. As for Suntek vs Xpel, Suntek also has the self healing topcoat and the new Suntek Ultra has also a hydrophobic property, so that shouldn’t be a deciding factor in your search of the best film for you. If the re-spray is not great job and doesn’t bond with the car when you take it off paint will come with it! FYI JUST TRYIN TO HELP! Also if you have no cear-coat left and your paint looks good PPF will act as a clear-coat and give it a shine finish for as long as it lasts or you maintain it! I am really enjoying the theme/design of your website. Do you ever run into any web browser compatibility problems? A few of my blog visitors have complained about my blog not working correctly in Explorer but looks great in Opera. Do you have any recommendations to help fix this issue? Can Xpel be put on overtop of rock chips or would it bubble or cause other issues? Thank you for the rapid positive response. I will be using your company again due to your great customer service. Not the norm nowadays.